It’s time for a brand new episode of The Flickcast on its new day: Friday! We hope you’ll still be able to enjoy the show, even if it’s on a different day now. We know the struggle is real. Stay strong. Speaking of the show . . .
On this week’s episode Chris and Joe are back at it discussing Star Wars: The Force Awakens. But don’t worry, that’s not all they discuss. 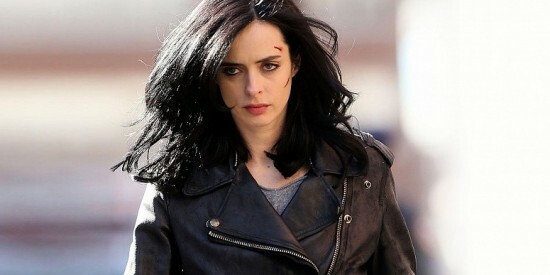 Also included are the upcoming Jessica Jones series on Netflix, The Walking Dead, Supergirl, the Sherlock period movie, Ash vs. Evil Dead, more pictures of The Joker and Harley Quinn from the upcoming Suicide Squad movie and a whole lot more, more, more. Picks this week include Chris’ pick of the movie The Martian, and Joe’s pick of the book Whoniverse by Lance Parkin.